Megan & Seth Hillenmeyer met at Miami of Ohio. They were friends first and became closer while studying abroad together in Barcelona. Once they returned from Spain, in the spring semester of their junior year, Seth asked Megan out on an official date. The love connection was instant and they dated several years before getting engaged. Seth proposed to Megan in Sea Island, Georgia on a vacation with friends. He got down on one knee after a run on the beach. Immediately, Megan knew what he was doing and she began jumping up and down with excitement before he could even ask the question. The couple set the date for their wedding for August 15, in honor of Megan’s parents, who were married on the 13th of August, and her sister, married on the 14th. Megan was born and raised in Chicago and Seth, born and bred in Lexington. After college, the couple lived in Chicago for a few years before Seth returned home to work for the business that has been in his family for six generations, Hillenmeyer Landscape Services. The two dated long-distance for a year, then Megan moved to Lexington where she began working for TOPS in Lexington. 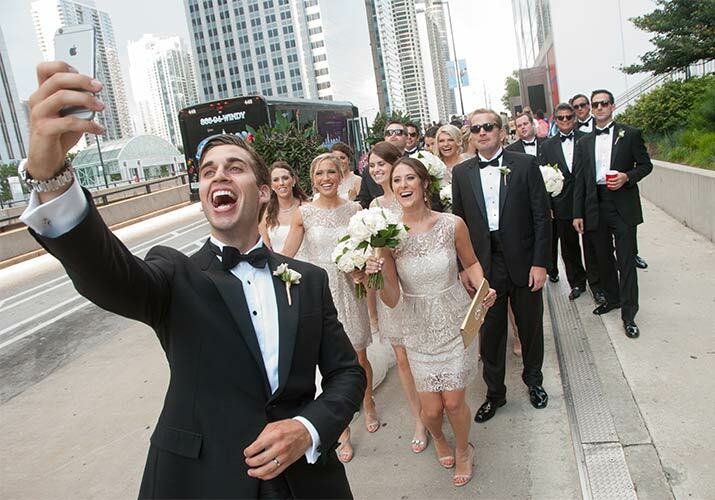 Even though they would spend the rest of their lives in Lexington, Megan always wanted a big Chicago wedding. 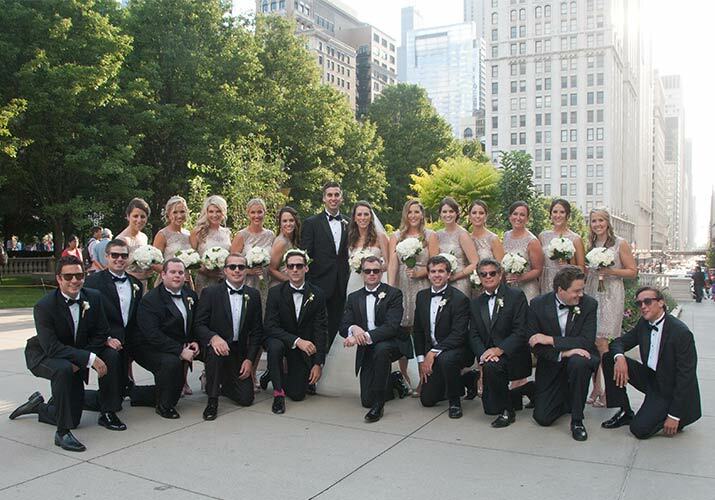 The ceremony took place at Holy Name Cathedral, a historic Catholic church located near the Magnificent Mile in downtown Chicago. 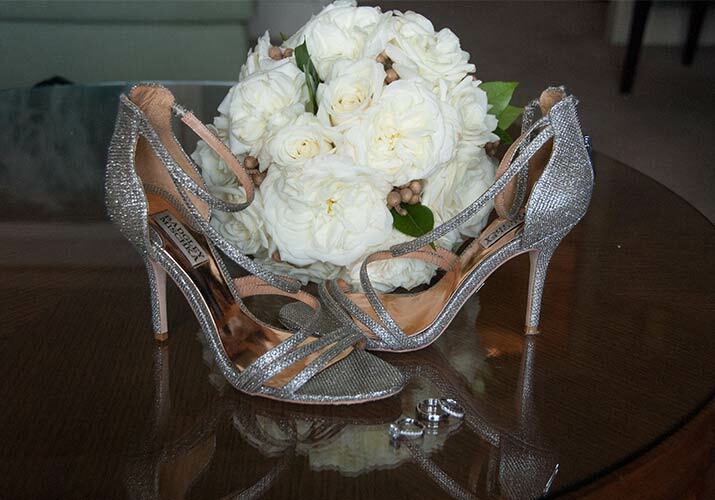 Megan wore a Vera Wang dress and, for something borrowed, her sister’s veil and her mom’s diamond necklace. The bridesmaids wore Jenny Yoo and the groom and groomsmen wore traditional tuxedos. Prior to the ceremony, Seth gave Megan a gold necklace by Coordinate Collection engraved with the wedding date and the geographical coordinates of the church. 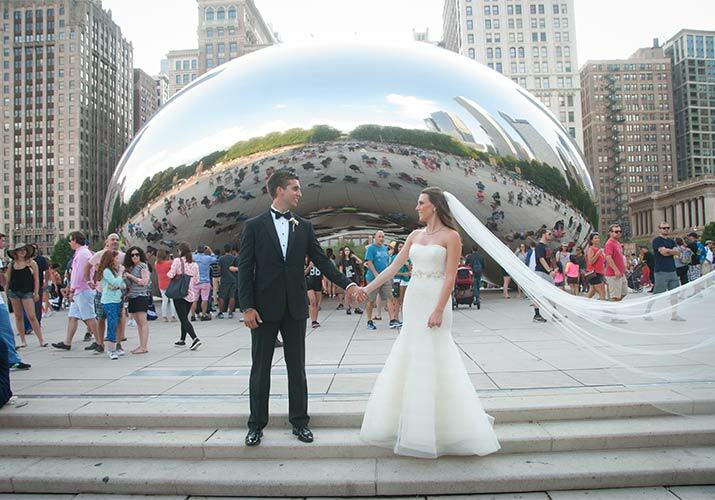 Once the happy couple said “I do”, the celebration continued at the Millennium Park Rooftop Terrace. 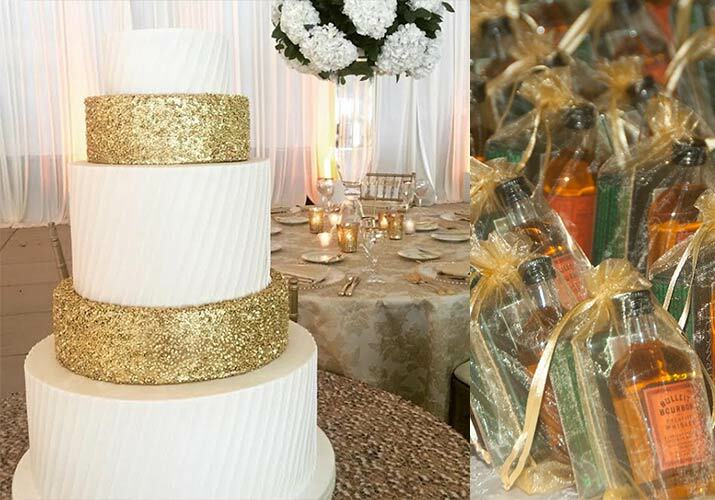 In the cocktail area, guests were greeted with signature cocktails and a variety of heavy hors d’oeuvres. From there, they continued on to the main tent for dinner and dancing. 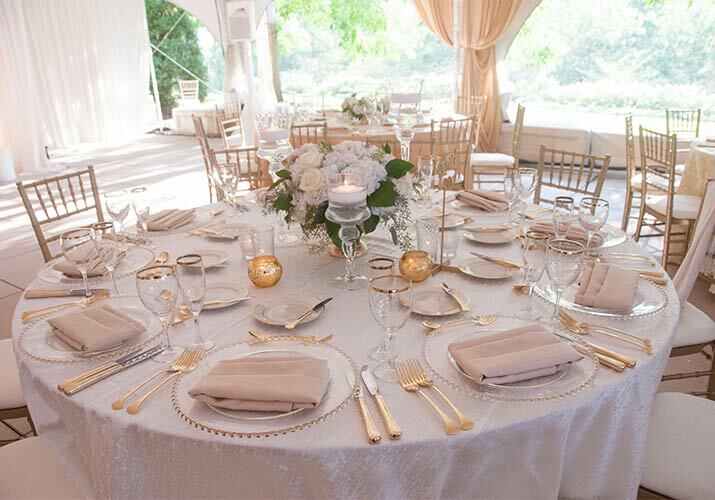 The wedding colors were gold and white, emphasized with a bright white dance floor, white flowers, candles, and lounge furniture, along with gold accents throughout. 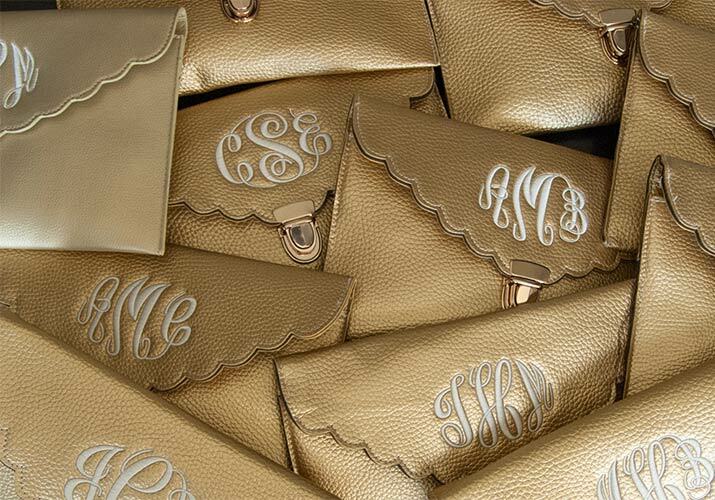 In the center of the dance floor, Megan and Seth’s monogram was displayed in gold. Above that hung several crystal chandeliers. For pictures, there was a ten foot long step and repeat that displayed the couple’s monogram, wedding date, and wedding hashtag: #bellenmeyer. Working for TOPS, Megan loves a good step and repeat photo opportunity! 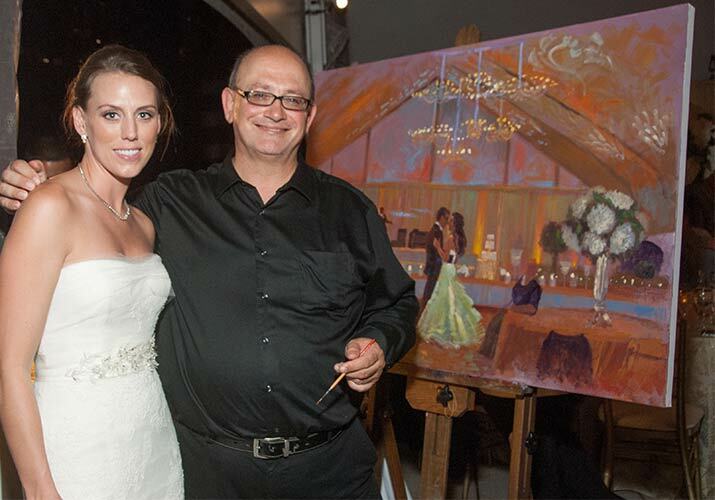 Throughout the evening, a painter painted a picture of the reception on a large canvas, which now hangs in the living room of the bride and groom’s home. Several times that night, Megan and Seth made a point of sneaking off to the corner of the tent to take in the moment. With the Chicago skyline twinkling in the background, they watched three hundred of their closest family and friends smiling and dancing. The couple was glad they took this time to breathe it all in, as those were the moments that became their most cherished memories.